We have been nurturing and mentoring holistic aestheticians since 2010. If our processes and methods speak to you and you want to delve deeply into the type of holistic wisdom we practice, an apprenticeship may be right for you. Apprenticeship is not the same as taking a class or attending workshops. You must be willing to invest yourself, work hard, and respect the mentors who are taking time from their busy practices to pass this wisdom on to you. What else do Apprentices and Practitioners get? Apprentices and Practitioners get 20% off any of our products when purchased at an Apprentice Circle. Apprentices and Practitioners can purchase items off of the Practitioner Line Sheet at the Professional Price. These items are considered our Backbar Sizes and are comprised of the Functional Skin Care Line. We are adding a few new products as well as the compression towels to the list and expect to have it up in April 2019. Only practitioners who have applied for a wholesale account can purchase products at wholesale prices. Wholesale is 6 of each product in the same size at a time. Please contact Sondra if you want to become a wholesaler! We have so many workbooks and videos and other information that we distribute when we feel is appropriate. Part of an apprenticeship is learning to receive the right information at the right time, so cultivate patience as we distribute within the classroom and in physical form. When you have shown proficiency in the Junior Apprentice Classroom, you will be given the opportunity to join the Senior Apprentices. This usually takes about a year. ***We also offer One-Year Placements. First year (Junior Apprentices) pay $2000 to cover the costs of the program and may attend as many Apprentice Circles as they can get themselves to within one calendar year of their start date. You may be invited to join for a second year (as either a Junior or Senior Apprentice) for $1200. Expect to want to stick around for years, as there is always more to learn. We dig DEEP! You will be sent an application form after your orientation. Even if you apply and do not get one of these spots, you can still pay for and attend any of the apprentice circles. After a year, you will be evaluated to determine if it is better that you continue as a Junior Apprentice or are promoted to Senior Status. 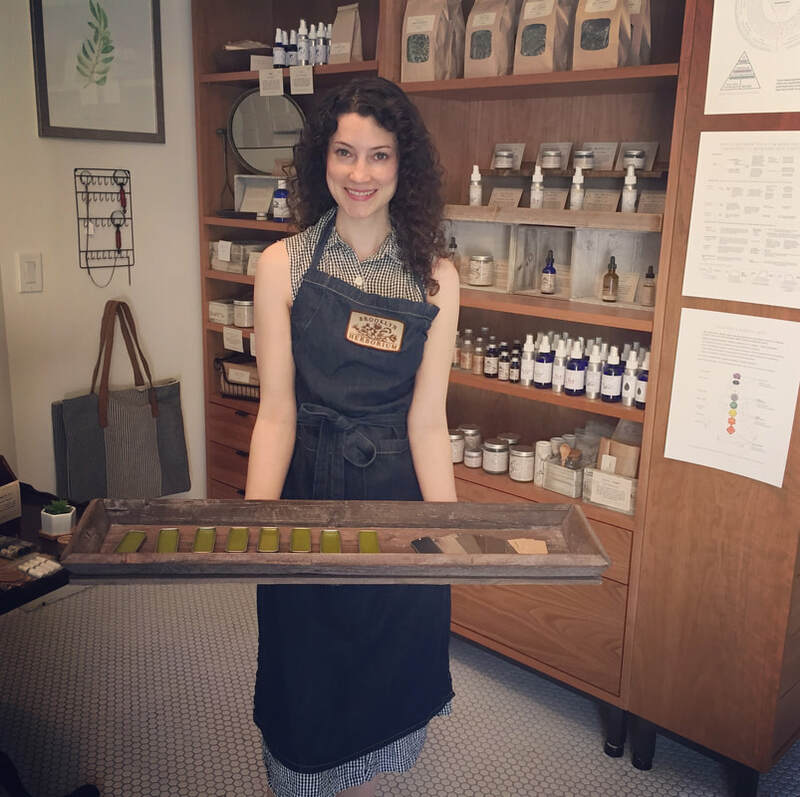 Can I use Brooklyn Herborium's products in my spa or treatment room without being an apprentice? Yes. 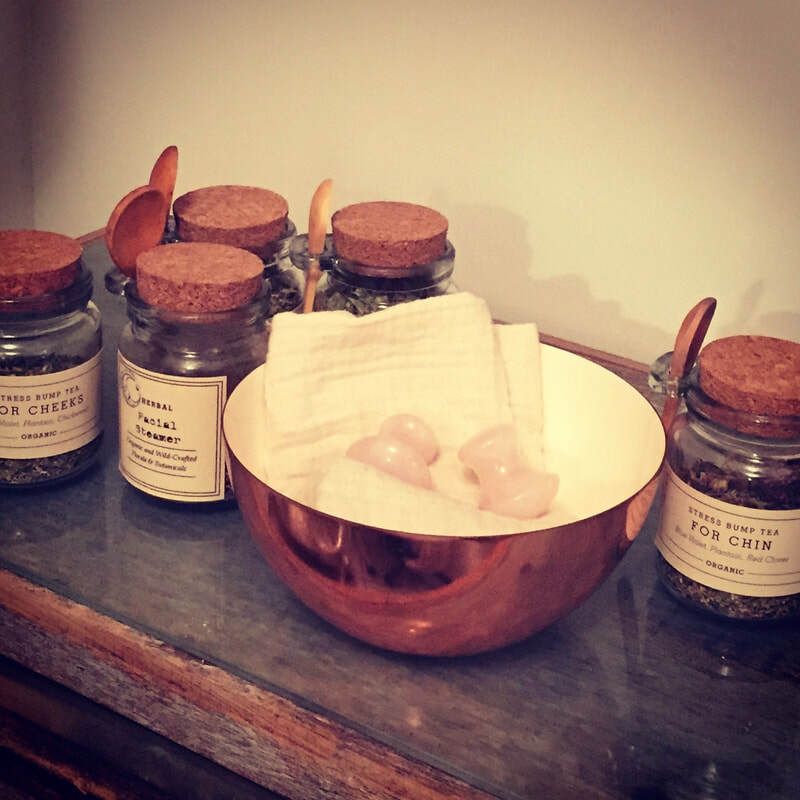 There are many ways to work with Brooklyn Herborium and the Between You & The Moon products. You do not need to participate in the apprenticeship in order to become a retailer or use BYATM products in your treatment room or spa. Retail: We offer a large variety of products for sale in your retail shop or as home care for your facial service clients. See our attached wholesale application and price list. We offer a Complete Spa Service Room Package that gets you set up immediately with enough product to supply one service room with 80-120 of either the Holistic Spa Facial* or a Functional Skin Care Service*. There are no artificial chemicals or ingredients in any of these products. I currently work in a place that uses a different product line. Will I be able to use what I learn with other products or service protocols? Yes. Of course, we only use our Function Skin Care Line during the apprenticeship (because it is awesome) but the knowledge that you will gain is universal. You will then have the insight to apply holistic methods to everything you touch as well as a very clear lens to determine if something is truly holistic and beneficial or if it simply appears that way. 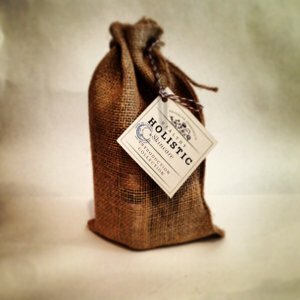 (Reminder: Loudest does not equal wisest...) Also, if you have current knowledge and experience in other healing modalities such as acupuncture, Gua Sha, Reiki, Dien Chan/m, hot stone therapy (etc) or have interest in pursuing them in the future you will be provided with a base in which to insert these methods to benefit your clients immediately. Will I learn how to create my own skin care line? No. That is another course for another year... But, Junior Apprentices are invited to spend four hours in hands on product-making in our workshop…and our Senior Apprentices are certainly knowledgable enough to do it really well if they wanted to! What if I can’t come the the Apprentice Circles? Become a Practitioner. 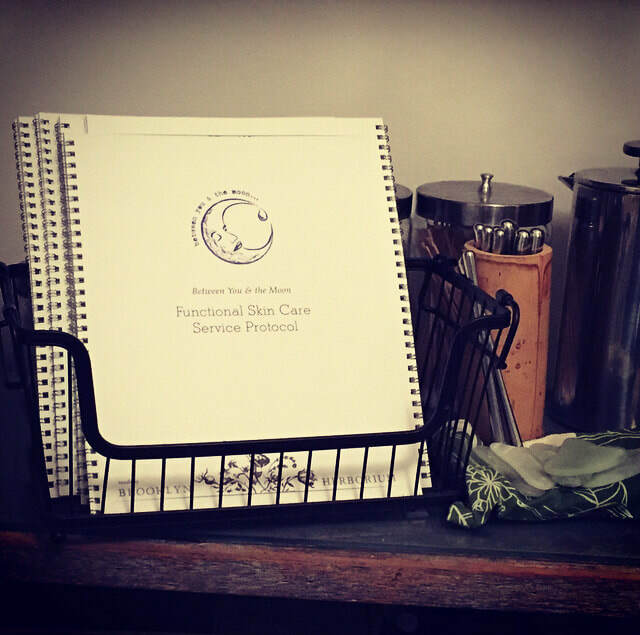 All of our practitioners are provided with enough study materials to go deep and use the products in their practice without attending any of the Apprentice Circles. (I would love to say that those materials are “as good” as attending a circle…but we have not reached that point yet) Even so, the more you interact with your community of practitioners, the more insight you will gain so get involved in the classroom and make it to whatever circles you can. Practitioners in their first 2 years can attend any Apprentice Circles for the same price as apprentices. Practitioners who have been with us for over two years can revisit our circles at no cost as long as there is space. Attending these in-person meetings are important for reinforcement and for learning the specifics of hands-on work. Without that, it is not really an apprenticeship, but online learning or courses (which may be lovely, but not quite on the same level). An apprenticeship requires that you make connections and are willing to delve deeper, not necessarily wider. Most of our Apprentices also spend about 10 hours per week practicing (either in their hands or in their heads) as well as making sure to attend the Apprentice Circles every other week. Direction is more important than speed, though. Do the work in your own time and you will truly get it. Modern media seems to be making people think that they can just purchase a class and “download” it into their brain and then have it to use. Feed yourself, we will not spoon-feed you. This is something you can keep growing and growing with. There is no completion! What is the difference between a Practitioner and an Apprentice? Usually we would describe a Practitioner as someone who is using the BYATM Products and Techniques in their professional practice and an apprentice is working towards that place. Although--in actuality--aren't we always both apprentices and practitioners? Do I have to be an aesthetician? We welcome a wide variety of professionals to use our products, understanding that each practitioner is unique and has unique needs. 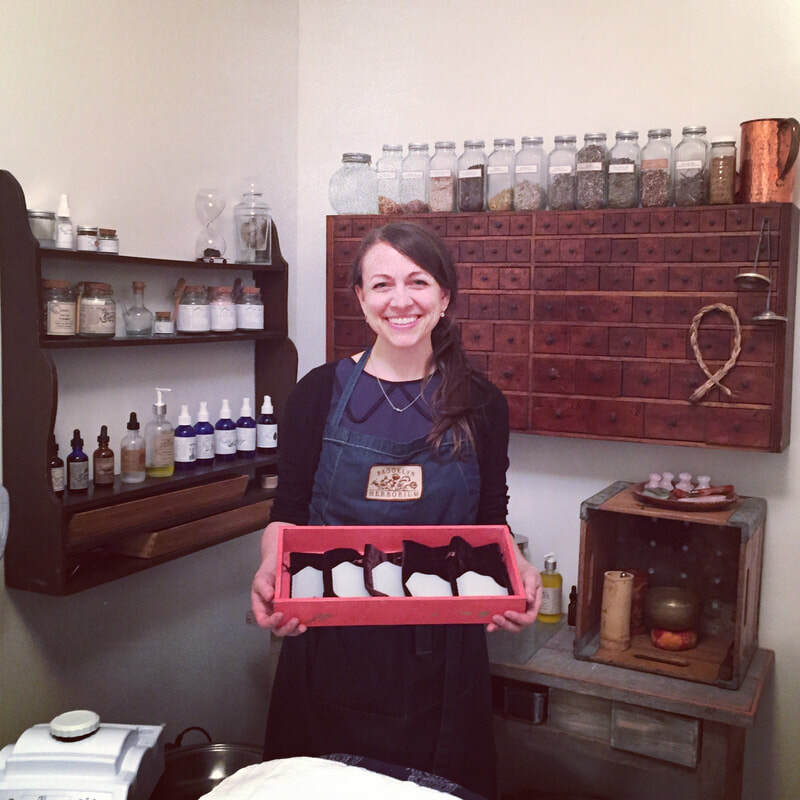 Yes, we do hire out of our apprenticeship programs (both Herbalcrafters and Holistic Aestheticians). No, it is not guaranteed. If you think you may be interested, but are not sure if this is the right thing for you, please email to set up a call or make an appointment to come visit.